Lucerne is one of my favourite cities in Switzerland! 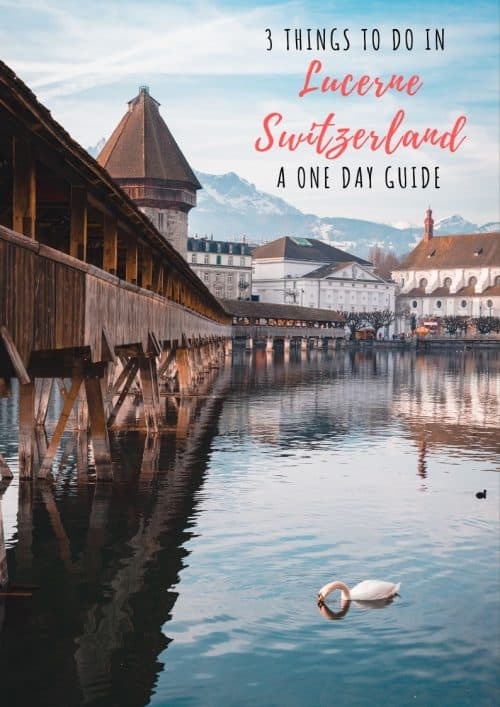 I spent one day exploring this preserved medieval-style city and have put together this guide of 3 Awesome Things To Do in Lucerne to help you plan your trip! Lucerne is located 53km south of Zurich. The best way to get to Lucerne from Zurich is by train, which is only a short one hour journey. 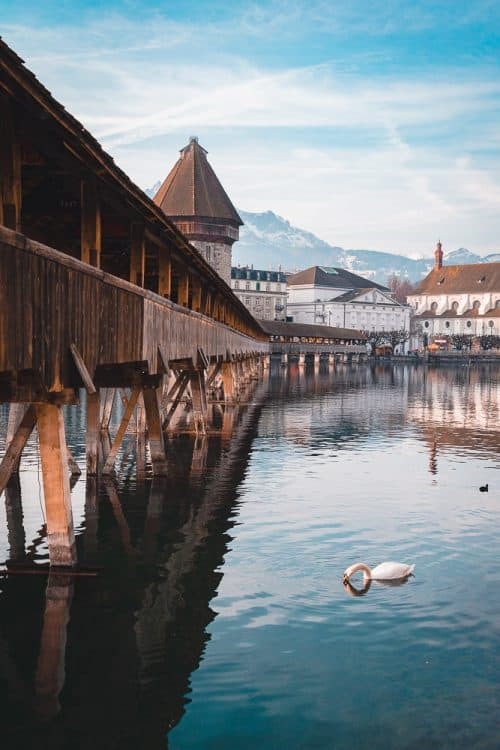 Chapel Bridge is the most iconic attraction in Lucerne and the oldest wooden bridge in Switzerland, dating back to the 14th century. The Chapel Bridge Lucerne stretches 200 meters across the Reuss River and attached to the bridge is an old water tower that served as a dungeon, an archive and a treasury vault in medieval times. It’s free to walk over Chapel Bridge and remember to look up to discover the colourful old paintings on the underside of the roof. 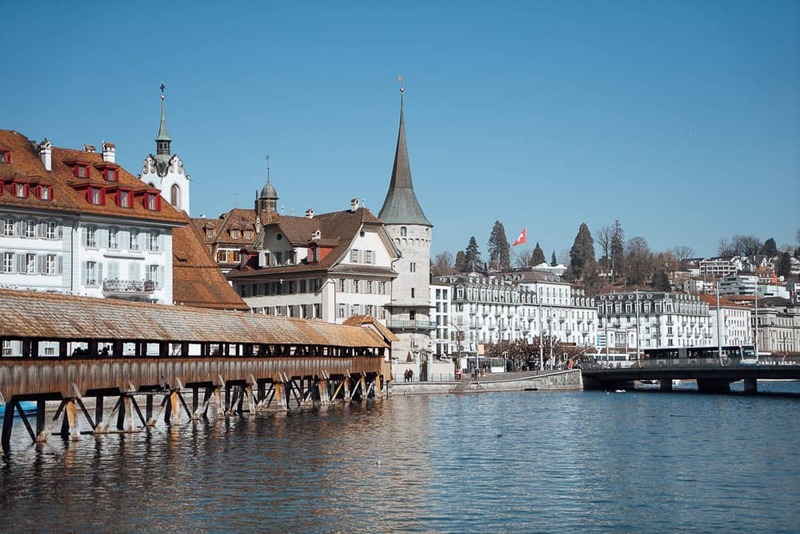 Definitely add Chapel Bridge to your itinerary as it is one of the best places to visit in Lucerne. 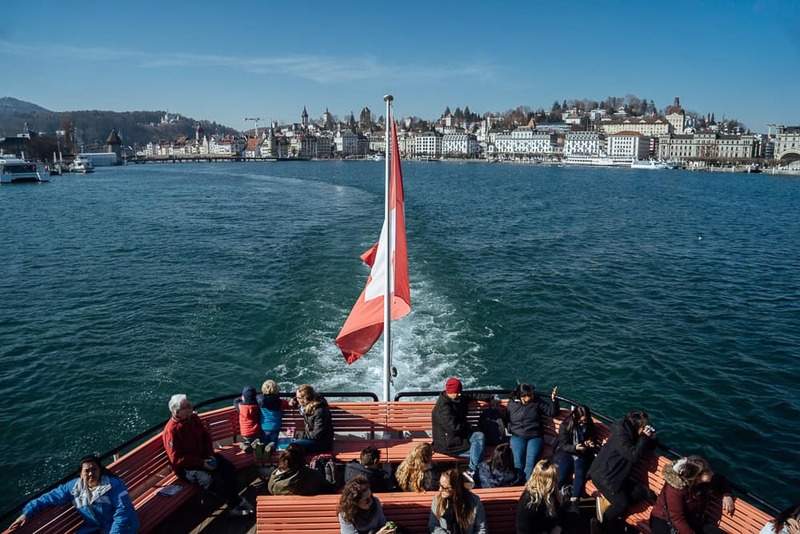 A boat trip on Lake Lucerne is one of the most unforgettable things to do in Lucerne Switzerland. With the Swiss Travel Pass, you can take a round-trip boat ride on Lake Lucerne which is the best way to see the region at a slow pace! 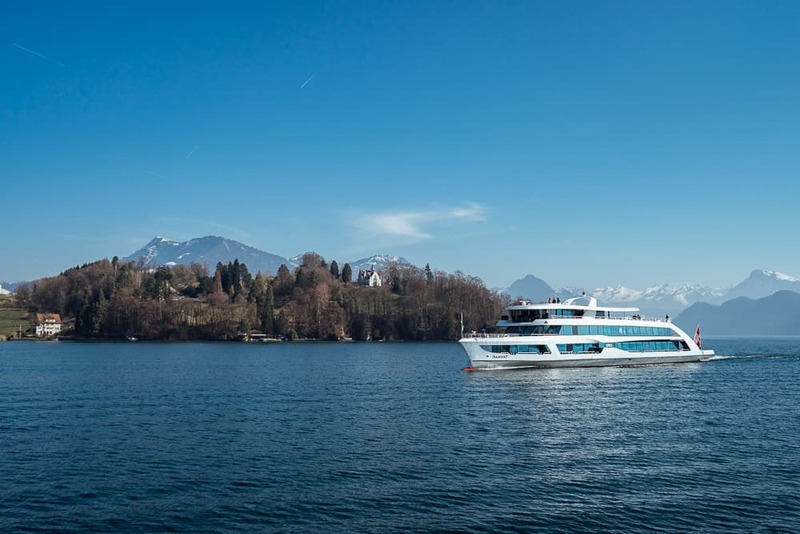 There are daily departures on Lake Lucerne, usually every hour during the day. Just head down to the ferry terminal and jump on board when a boat arrives and you’ll be asked to show your Swiss Travel Pass. 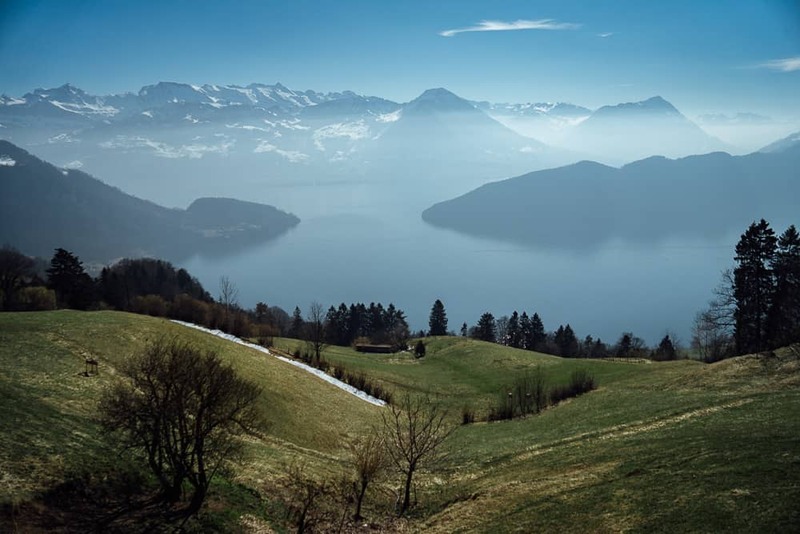 Mt Rigi, also known as the queen of the mountains, is a large mountain range in the Lucerne region. 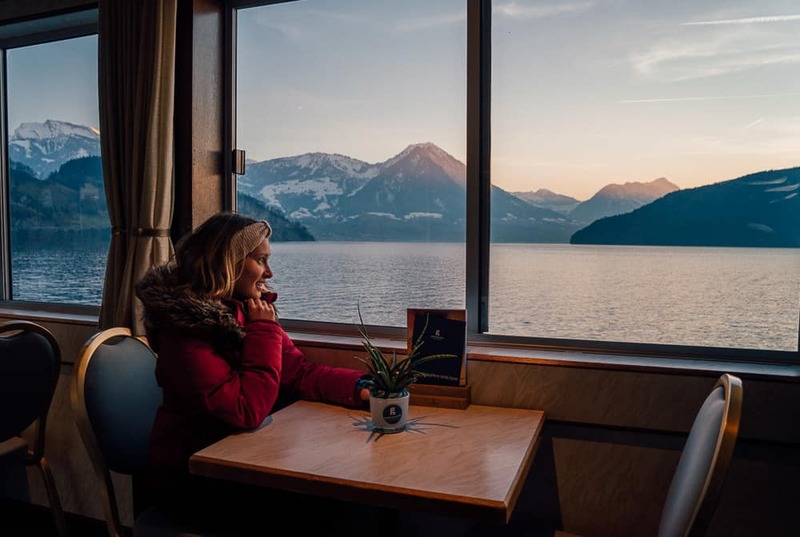 The best way to get to Mt Rigi, using the Swiss Travel Pass, is to take the one-hour boat ride from Lucerne Ferry Terminal and get off at Vitznau. 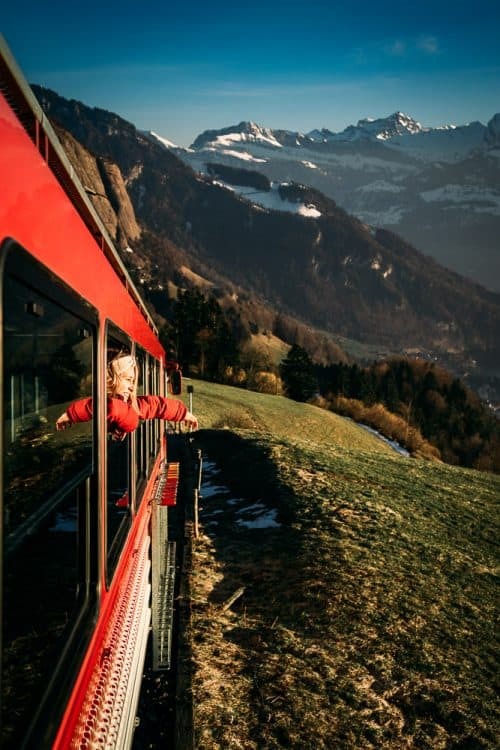 From here there is a special cog-wheel train that will take you up to the summit of Mount Rigi. This was my favourite part of the adventure as I was able to hang outside the windows of the train to take photos! 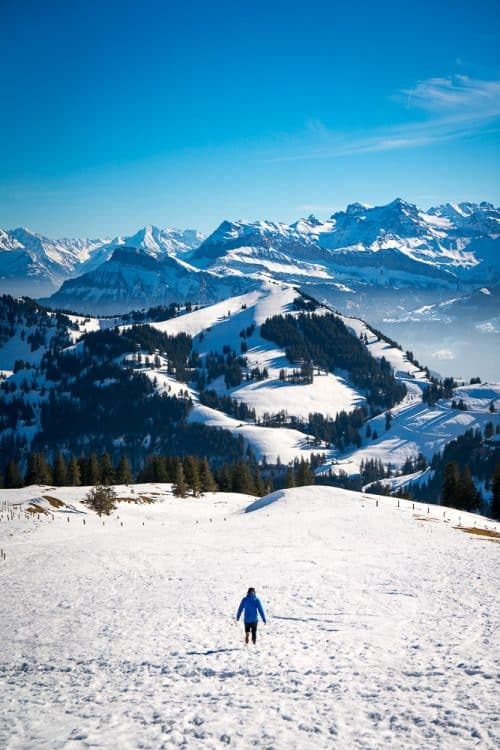 Panoramic views await at the summit of Mt Rigi, overlooking three lakes and phenomenal alpine peaks in the distance. If you want to grab lunch or a beer you can simply pop into a hotel restaurant and most have outdoor terraces with stunning views. Be sure to add Mt. 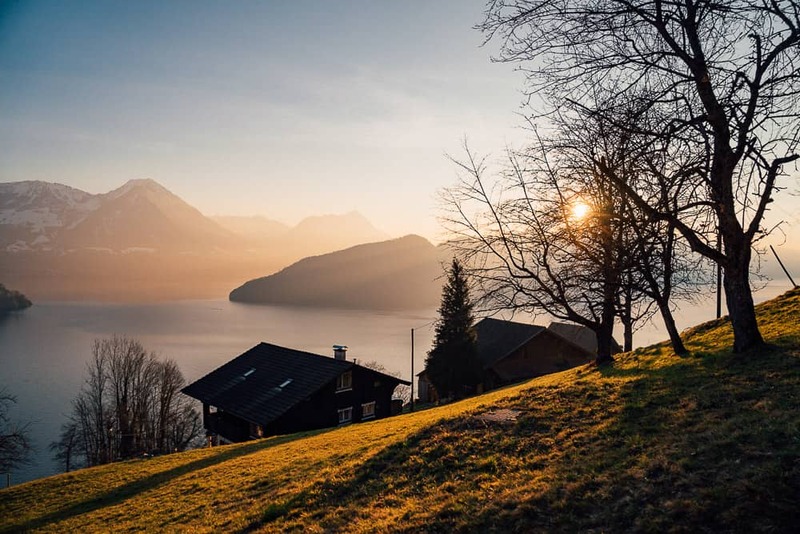 Rigi to your list of things to do in Luzern. Lucerne has hundreds of accommodations to choose from, including hostels, hotels and apartments. I can personally recommend the Barabas Hostel in Lucerne City, located just ten minutes walk from the Lucerne Train Station. The Barabas Hostel is one of the coolest and most unique hostels I have stayed in, the reason being that it was once an old prison. The dorms and private rooms are the same rooms where prison inmates used to sleep back in the day (much cleaner and refurbished of course) and it gives you a real sense of what it would be like to be a prisoner. A buffet breakfast is also included with the room and the staff are overly helpful with their knowledge of the best things to do in Luzern. Click Here to check rates and availability at the Barabas Hostel. For all other accommodations in Lucerne, Click Here to search on booking.com. 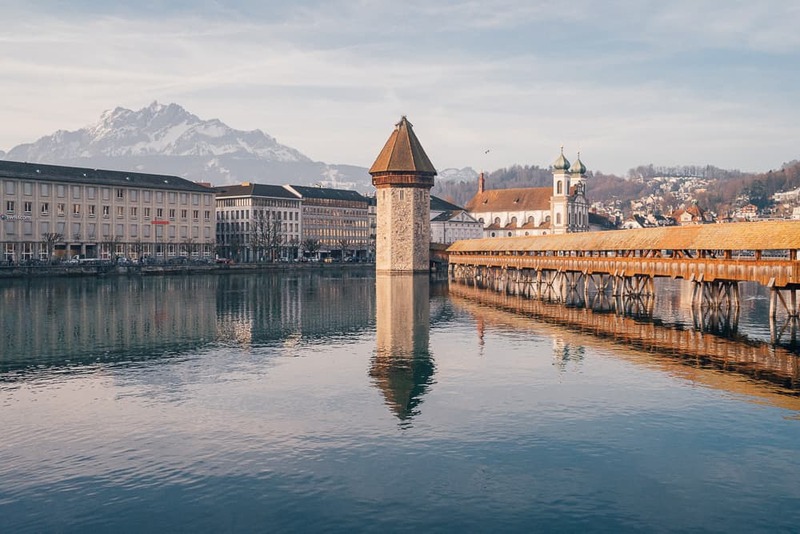 I hope you enjoyed reading this article and if you have any questions about things to do in Lucerne, drop me a comment below and I’ll get back to you as soon as I can. The photos and structure of the guide make it so easy and enjoyable to read through. Love your content on every platform. Thank you! !